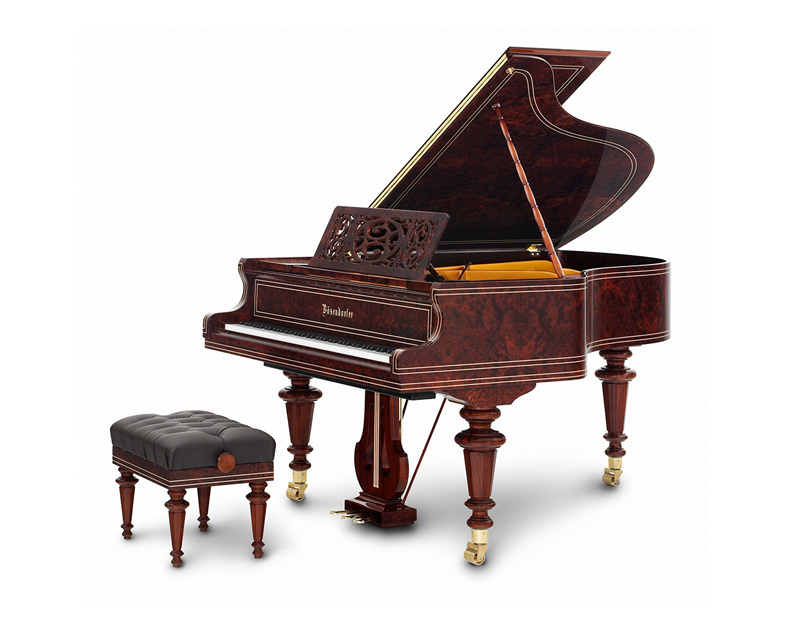 This model was built in honour of the exceptional pianist and composer Franz Liszt who was connected with Bösendorfer very tightly. An original painting in the Bösendorfer Hall shows Liszt playing a concert for the emperor Franz Josef and the court on a Bösendorfer grand piano. 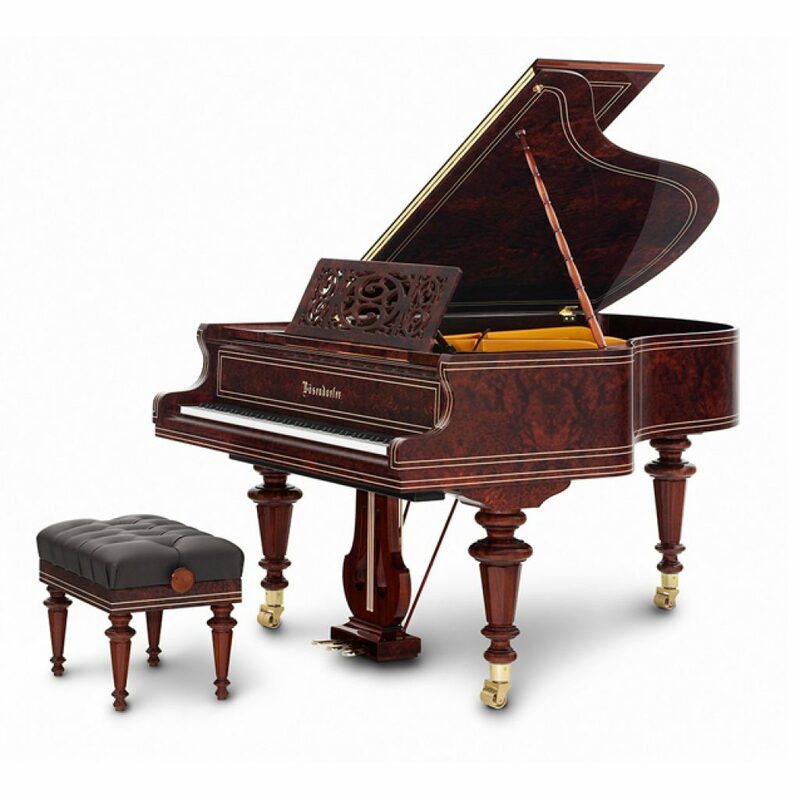 The model Liszt is veneered in Vavona and available in size 185. At the time of Franz Liszt making music at home was very popular and in many homes small models of grands like 185 could be found.